There's been another unexpected hiatus (life! it's ... chaotic! ), but here's a new round-up of today's proverbs and fables - and for previous posts, check out the Bestiaria Latina Blog archives. Also, I learned about something handy from Bill Thayer at Twitter recently: for those of you who do a lot of typing in Greek on a Mac, check out Ἑλληνική — Polytonic Greek Converter for Typinator. I do most of my work on a Chromebook, so TypeGreek.com continues to be my Greek typewriter of choice. HODIE (Roman Calendar): ante diem tertium decimum Kalendas Octobres. MYTHS and LEGENDS: The art image for today's legend shows Deucalion and Pyrrha, and there are more images here. 3-WORD MOTTOES: Today's 3-word motto is Sidus adsit amicum (English: May my lucky star attend me). 3-WORD PROVERBS: Today's 3-word proverb is Caritas omnia potest (English: Love can do all things). RHYMING PROVERBS: Today's proverb with rhyme is: Discat, qui nescit, nam sic sapientia crescit (English: Let him learn what he does not know, for thus does wisdom grow). VULGATE VERSES: Today's verse is Diligite iustitiam, qui iudicatis terram (Wisdom 1:1). For a translation, check out the polyglot Bible, in English, Hebrew, Latin and Greek, at the Sacred Texts Archive online. 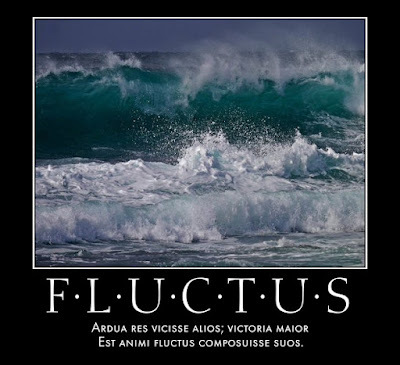 BREVISSIMA: The distich poster for today is Animi Fluctus. Click here for a full-sized view. By seeking you will find. PHAEDRI FABULAE: The illustrated fable from Phaedrus for today is Socrates ad amicos., a story about the famous philosopher: Latin text and Smart's translation. STEINHOWEL: The illustrated fable from Steinhowel for today is De graculo et pavonibus, in which "Fine feathers do not always make fine birds." 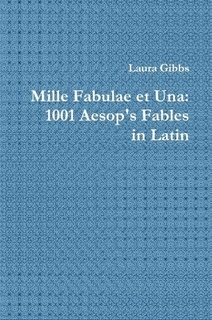 Here's the Latin text and English versions. And here's a LatinLOLBaby follow-up to that Labor Day post, with thoughts about Latin labor (the post is in English! ): In sudore vultus tui vesceris pane. Go on with your precious work. Took me longer than it should have to notice too. I was thinking, "Yet another very loose translation."!!!!!!!!!!!!!!!!! !